The bi-annual RO:COP roundtable event took place on Wednesday, 11 November in NICVA and was a great success. 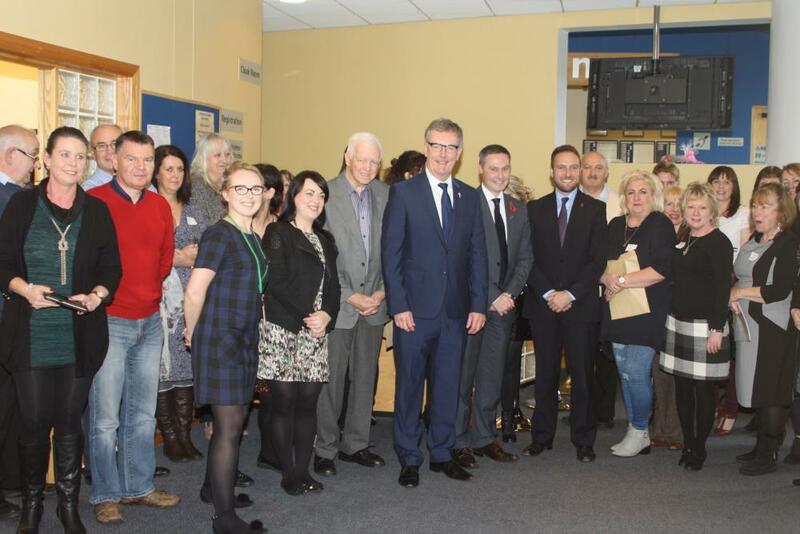 Over thirty staff, volunteers, service users and board members attended the lobbying and campaigning session designed to introduce the BIG Lottery funded Reaching Out: Connecting Older People grant holders to personnel experienced in lobbying and campaigning and meet some MLAs face to face. Lisa McElherron, Head of Public Affairs, kicked off the session asking the groups to keep in mind the key principles of Policy, Process, Politics, not forgetting the fourth P- People. Jenna Maghie, NICVA, followed with an excellent presentation on understanding the policy environment and who is who in Stormont. “Too often government responds to the whispers of lobbyists before the cries of the people.” Dessie Kyle, Manager of HURT in Derry engaged the audience describing his organisation’s experience of lobbying at Stormont followed by Jenny McEneaney, NICVA, who helped participants understand the politics of any issue and the decision making process. Mike Nesbitt, MLA, Chris Lyttle MLA and Paul Frew MLA then talked participants through the Do’s and Don’ts of lobbying themselves as MLAs. Following lunch Paschal McKeown made a very informative presentation on the All Party Group giving details of how the groups can become involved. The day ended with a group discussion of the strategies the groups should take to make their lobbying and campaign efforts more effective. In conclusion we decided that there was a need to work together to influence change and develop a clear and concise message to decision makers. The power of 65 groups representing the older people that they work with is significant and should be harnessed to draw attention to the needs that exist and present solutions to the current issues. There is a need to develop an action plan and to bring together the evidence we already have of the change that is being made and the consequences of not having that support and help in place. The Big Lottery Fund Reaching Out: Connecting Older People (RO:COP) Development and Support Programme is delivered by NICVA to all RO:COP grant holders.